This is an interesting but convoluted history that spans more than 125 years and four companies. I started out to document the history of Harptone cases and discovered a legacy that spans from Maulbetsh & Whittemore in 1886 all the way to the present-day trademark holder TKL Products Corporation. 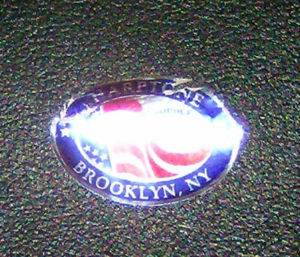 I also discovered that no “Harptone” branded cases were produced during the existence of the Harptone Mfg. Co. 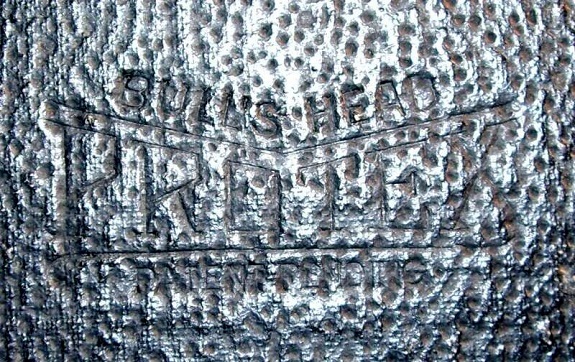 Although many had no marking, those that did, carried the “Bull’s Head” brand. Furthermore, I learned that the “Bull’s Head” trademark goes all the way back to the founding company, Maulbetsch & Whittemore. 1980’s The “Harptone” name is trademarked and used on cases for the first time by TLK Products Corp.
John Maulbetsch and George D. Whittemore start the business with one employee at an unidentified location on Market Street, Newark, New Jersey. 95-111 N.J. Railroad Ave. & Green St., Newark, N.J. There is some very faded lettering painted above the top windows. Could it say “Maulbetsch Whittemore”? assignor of two-thirds to John Maulbetsch and George D. Whittemore. 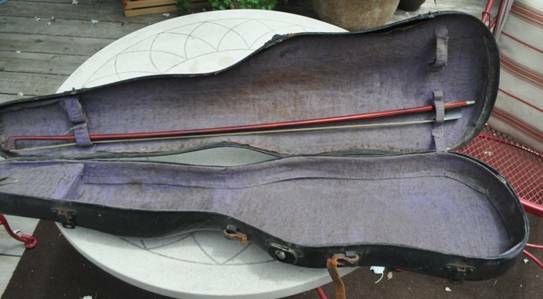 A violin case made of leather, a tapered shape with flat, opening ends. The leather business—that is, tanning and currying of hides and skins—has a history similar to jewelry (previously profiled), and is now the largest single interest that is carried on in Newark. 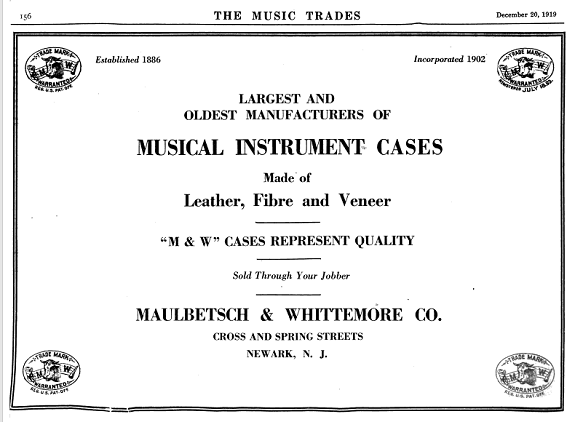 MAULBETSCH & WHITTEMORE, Manufacturers of Cases and Satchels for Musical Instruments, Brass, String and Reed, Web and Leather Drum Slings and Belts, Canvas Cases for Guitar, Banjo and Mandoline, Sample Cases and Leather Novelties, 108 to 114 N. J. Railroad Avenue, Corner Green Street, Newark, N. J. 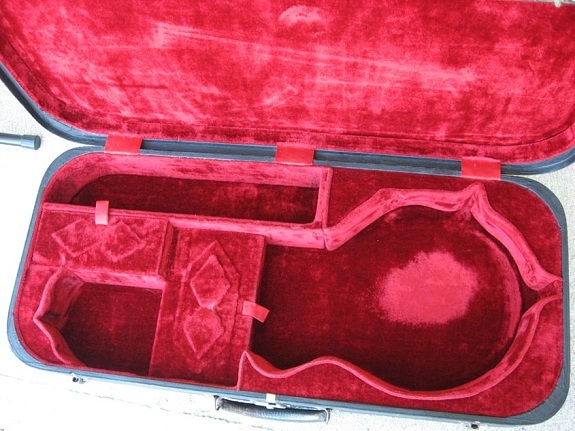 In presenting their new patent professional sole-leather violin case to the trade, Messrs. Maulbetsch & Whittemore do so with the assurance that it will fill a long needed want, viz. a case constructed entirely of leather, handsome in design, light in weight, strong and durable, and perfectly water and dust proof. As will be seen by the above cut, the case opens on the end and is accessible without placing either on the lap, table or chair. As it stands upright it is specially convenient in traveling, or when strings or rosin are needed. It can also be carried on the arm, or in the usual manner. On the inside of the case, at the bridge, is placed a steel band, which makes it a perfect protection for the instrument. Two straps encircle the case, which are both ornamental and useful, as many things can be carried by their use. 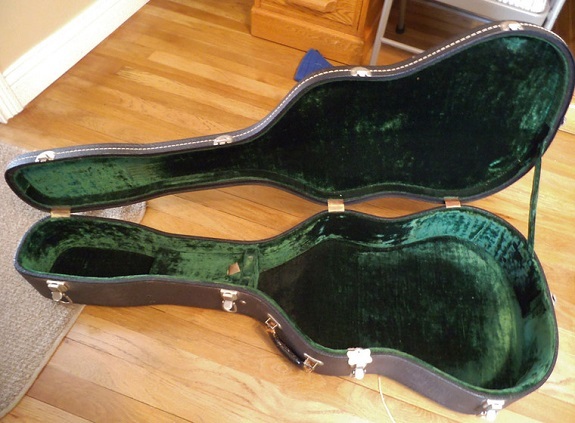 These cases will fit any model violin snugly, and are lined with a heavy flannel plush. They are made in colors of black, russet, orange and maroon, and are for sale to the trade by the manufacturers and jobbers. The leather industry in the city of Newark is one of its chief and representative enterprises, as everybody knows, and the many varied uses to which leather may be put is as well known. Take, for instance, the establishment conducted by Messrs. Maulbetsch & Whittemore; it is of the most interesting nature, for is there anything manufactured from leather any prettier than musical cases? We doubt it, for some of the finest pieces of leather work are in this line of goods, and the highest degree of skill and workmanlike execution are put into them. To the musical world these goods are of especial interest, and no good musician now-a-days can dispense with a proper case or satchel for his or her favorite instruments, for such cases are actually necessary for their preservation. Musical instruments, and especially string instruments, are very susceptible to the changes in weather, and should be kept, when not in use, in proper receptacles. Leather and canvas cases fill the bill, and are conceded to be superior to anything made in this line. The trade need no introduction to the house of Maulbetsch & Whittemore, for the standing of the establishment for the superiority of their goods is well known upon the market. It is not out of place, however, in a work of this kind, to call the attention of the public to the assortment of musical cases and satchels which this firm manufacture and carry, and all who need such goods would do well to pay the sample room of Messrs. Maulbetsch & Whittemore a visit of inspection before giving their orders. Catalogues are sent upon application, and the trade will find that the prices on these goods are very reasonably quoted. The establishment was inaugurated by the present proprietors in 1886. Mr. John Maulbetsch is a native of Germany, and Mr. Geo. D. Whittemore of Newark, N. J. Twelve assistants are given employment, and the premises are 3,500 square feet in area. 3 40-46 Cross Street was at the corner of Spring and Cross Streets. Cross Street and the factory building no longer exist as this became the corridor for the I-280 freeway, completed in 1973. 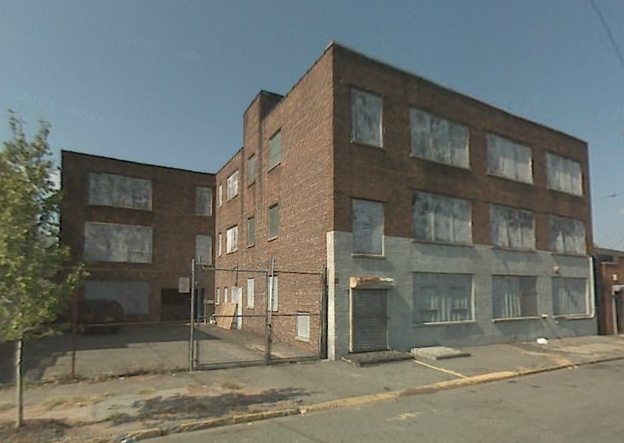 By 1941 The Harptone Corporation had moved from this location to 127 South 15th St., Newark, N. J. What was the origin of the Maulbetsch & Whittemore “Bull’s Head” trademark? It’s a name and image that has had widespread use since ancient times. There is a famous English brand of Colman’s Mustard with a Bull’s Head logo. That product did exist earlier but the U.S. trademark was not filed until slightly later, in 1895. Some have speculated a relationship to the famous Bull’s Head Tavern on Manhatten Island and the neighboring “Bull’s Head” district; a rough and tumble area of tanneries and slaughterhouses that later became known as the Bowery. I think the answer is a bit closer to home. Newark was also a center of leather production, and in fact leather was its largest industry in the late nineteenth century. A ubiquitous symbol of leather companies was the bull’s head. See the advertisement below for Couse & Bolten, one of the many Newark leather companies. 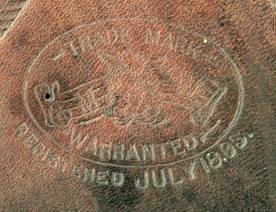 Since Maulbetsh & Whittemore’s first cases were constructed of leather it makes perfect sense that they would incorporate the Bull’s Head image and wording into their trademark. The application was filed on May 24, 1893. Trademark #23375 was issued on July 18, 1893. 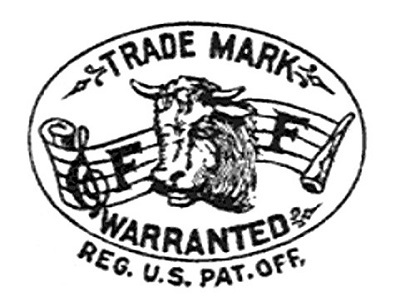 The trademark is a bull’s head superimposed on a G clef music staff containing the letters M and W on either side of the bull’s head, standing for Maulbetsh & Whittemore. Maulbretsch & Whittemore moves to a building at 154-156 Summit Street. This building no longer exists; the location is now a modern parking garage for the New Jersey Institute of Technology. Patent 34,447, granted May 7, 1901, filed January 25, 1901, to Nelson E. Kennedy, assignor to Maulbetsch & Whittemore. Design for bow-holding spring for violin cases. This bow-holding spring soon becomes a standard feature on most violin cases. This “New Century” patent is not for the composite material or the molding process but is a Design Patent for the design itself, which features a very innovative curvy shape. The typical wooden “coffin cases” of the 1800’s were straight-sided boxes. 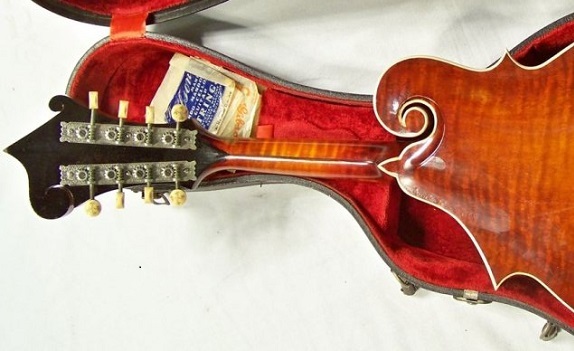 The previous decade had seen attempts to create shaped violin cases cut from solid wood or made from paper mache, but this new design took the idea to its ultimate conclusion. This new case uses the 1901 patented bow-holding spring clips. The composite material itself is quite remarkable, being strong, light, and without seams. The ingredients can’t be known for certain, but probably included starch, rosin, and perhaps ground up leather, all formed and cured in a heated metal mold. Geib & Schaefer produced their own composite case beginning in 1924 which was trademarked Kant Krack. Home of Maulbetsch & Whittemore, The Felsberg Company, and the Harptone Mfg. Corp.
Cross Street and the factory building no longer exist, as this area became the corridor for the I-280 freeway, completed in 1973. By 1941 The Harptone Corporation had moved from this location to 127 South 15th St., Newark, N. J.
Mrs Peter Gilgen, 676 W 14th St Chicago, Ill.
Lyon & Healy 199 Wabash Av Chicago, Ill.
A typical canvas case of the period, it could have been produced by Geib & Schaefer, Maulbetsch & Whittemore, Lyon & Healey or many other builders. These may have been named “canvas cases” but as you can see they are canvas covered cardboard or strawboard and offered a reasonable amount of protection. Courtesy of National Music Museum, University of South Dakota, Vermillion. Photographs by Bill Willroth, Sr. The raised Double Diamond shape on the accessory compartment lid is an identifying mark that appears on Maulbetsch & Whittemore Bulls Head cases starting around 1906. The Double Diamond and Bulls Head trademark continues to be used through the years by successor firms The Felsberg Company, and the Harptone Manufacturing Corporation. This is pure speculation; but is it possible that the Double Diamond shape was intended to represent a stylized M & W? 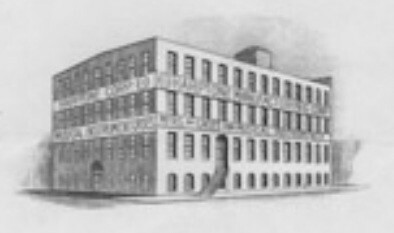 The Lewis Historical Publishing Co.
What can be done to further the growth of a business from a small beginning to one of national importance is excellently illustrated in the case of Maulbetsch & Whittemore Company, Incorporated, manufacturers of cases for musical instruments, in the city of Newark, New Jersey. The two men who established this firm — John Maulbetsch and George D. Whittemore — were accomplished mechanics when they started the business in 1886, in Market street1, but they had very little capital, and but one employee to assist them. The excellent quality of their wares soon found proper appreciation, and their small shop was soon inadequate to fill all the orders that came to them. In 1888 they removed to a larger building in Railroad avenue2, and at the expiration of eleven years (1899) removed to 154-156 Summit street3. It was during this time (in 1902) that the business was incorporated as the Maulbetsch & Whittemore Company, with the following officers: George D. Whittemore, president; George Maulbetsch, vice-president; John Maulbetsch, secretary, and Richard L. Whittemore, treasurer. After five years the business was again removed to its present location4. The factory building is a commodious brick structure which was planned and erected especially for their needs, and is equipped with all the most modem machinery and appliances of all kinds to facilitate their manufacture. They occupy the entire building, including a well-equipped basement, these together furnishing a floor space of more than thirteen thousand square feet. They furnish employment to between forty and fifty expert workmen. Their trade mark is a ''G" clef with a bull's head, and this is recognized everywhere as an emblem of merit by dealers in instruments and cases, and the M. & W. goods are so well known that there is no need of traveling salesmen, their carefully compiled catalogues giving all necessary information. John Maulbetsch, who up to his death in 1912 was treasurer and senior member of the firm, was born in Giengen-am-Brenz, Germany, March 9, 1846. In his native country he had learned the trade of harness-making, and was occupied with it for some time after his arrival in this country in 1871. He was in military service in Germany for a period of four years, and took an active part in the Franco-Prussian War of 1870-71. In political matters he was an ardent Republican, and he gave his active support to the interests of the German Methodist Episcopal Church. Mr. Maulbetsch married Fredericka Gebhardt, of Germany, and they had children: John, residing in Geneva, Switzerland; Annie, married --- Haas, of Brooklyn, New York; George and Frederick. George, son of John and Fredericka (Gebhardt) Maulbetsch, was born in Newark, New Jersey, November 28, 1878. His early education was acquired in a German school, and he then became a pupil at the Newark High School, from which he was graduated in 1893 after a thorough training in the commercial department. Immediately after completing his education he became an assistant to his father in the business of which mention has been made above, and, upon the death of his father in 1912, took his place in the affairs of the firm, becoming treasurer of the company. In political matters he is a Republican, like his father, and he is a member of Eureka Lodge, No. 39, Free and Accepted Masons, the Scottish Rite, and Salaam Temple, Nobles of the Mystic Shrine. George D. Whittemore, president of the Maulbetsch & Whilttemore Company, was born in Newark, April 17, 1846. He is a descendant of one of the oldest families of the State of New Jersey, his paternal great-grand-father having settled in the State when he removed there from Guilford, Connecticut, prior to the War of the Revolution. He was one of that body of men who actually built the old First Presbyterian Church, and who gave of their time and personal labor as well as of their means to further this purpose. James Whittemore, grandfather, was a man whose good deeds were not soon forgotten. He conducted a shoeshop in which many apprentices learned their trade, and he not alone taught them carefully but assisted those who were deserving of it in their later careers. Mahlon, son of James Whittemore, was known and appreciated not alone in Newark, but far beyond its limits. His magnificent voice was heard for many years in St. Patrick's Cathedral and in the Second Presbyterian Church, of which he was the choirmaster. George D., son of Mahlon Whittemore, in early life was famous as a choir boy in Grace Episcopal Church. There he was taught by one of the most accomplished instructors the country has ever produced. He was only a lad of fifteen years at the time of the outbreak of the Civil War, yet he at once volunteered his services, and enlisted in 1861. He served through the greater part of the war, and his arduous work was with the First New York Engineers at Port Royal, Fort Wagner, Folly Island, in front of Petersburg, Virginia, and on other important fields of battle. During all this time he was but once on the sick list. While serving under General Butler in Virginia, he was detailed to the Engineers' Supply Depot at Fortress Monroe during the last six months of his service, and was honorably discharged at the expiration of his term, at Varina, Virginia. He is a charter member of Marcus L. Ward Post, Grand Army of the Republic; Pythagoras Lodge, No. 118, Free and Accepted Masons; Kane Council, Royal and Select Masters; New Jersey Consistory, Scottish Rite; and Salaam Temple, Nobles of the Mystic Shrine. Mr. Whittemore has amply demonstrated his ability in every walk of life, both public and private, and has with Justice earned the esteem and confidence of his fellow citizens. President of Mulbetsch & Whittemore Co., Manufacturers of Music Instrument Cases, Succumbs This Week After Long Illness. Newark, N. J., June 23 – George D. Whittemore, president of Maulbetsch & Whittemore Co., manufacturers of musical instrument cases, died last night at his home in the Cecil apartments, 247 Belleville Avenue, from a complication of diseases. He was sixty-eight years old and had been ill five months. Mr. Whittemore was a descendant of one of the oldest families in the state, his paternal grandfather having come here from Connecticut prior to the Revolutionary War. He was born April 17, 1864, and when fifteen years of age enlisted in the Civil War. His father was Mahlon C. Whittemore, one of the oldest resident musicians in this city and leader of the old Handel and Haydn Society here. Mr. Whittemore was a charter member of the Marcus L. Ward Post, G. A. R. He was also a Shriner and prominent in Masonic activities throughout the state. Besides a widow, he is survived by a sister, Miss Anna F. Whittemore, and two sons, Richard and William Whittemore. The funeral will be held with Masonic and G. A. R. rites Friday afternoon. Interment will be in Fairmont Cemetery. Newmark's anniversary industrial expostion in celebrating of the 250th anniversary of the settlement of Newark, New Jersey"
Although veneer cases covered with Keratol imitation leather had been around since at least 1904, this is the first published illustration that has been found. 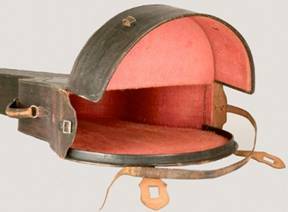 "Fitted" cases had long been in existence and had been used for violins as well as pistol cases or medical kits. M&W is the first to apply the design to cases for fretted instruments. The earliest rectangular M&W cases have a single square diamond design on the pocket lid rather than the double diamonds. This is the same design case as above but now with M&W's double-diamond trademark design. Another variation of the fitted design. When M&W sold out to Felsberg in 1920 it's clear that G&S won most of the Gibson business. 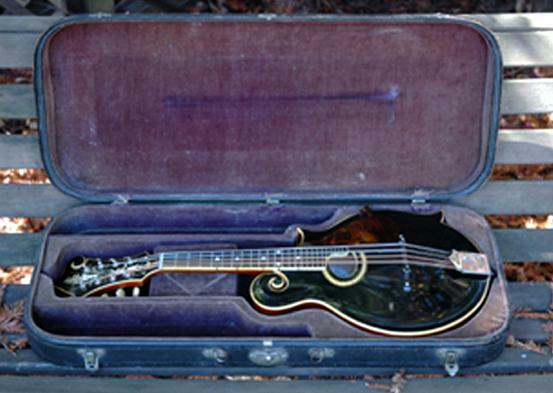 G&S produced fitted cases for the Gibson's F-5 mandolins which were introduced in 1922. 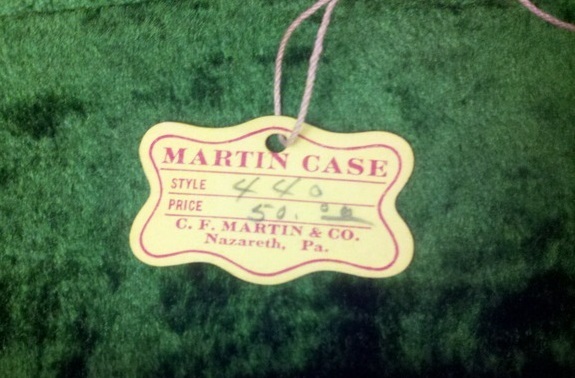 These cases were copied after the previous M&W F-4 cases. It's easy to spot the difference between M&W and G&S fitted cases. The corners of the G&S cases have a smaller radius whereas the M&W cases have rounder corners. A deal of considerable interest to the small goods trade was consummated last week, when the well-known musical instrument case making firms of Maulbetsch & Whittemore and A. L. Felsberg, both of Newark, N. J., were consolidated. The business will be continued under the name of A. L. Felsberg & Co., successor to the Maulbetsch & Whittemore Co. 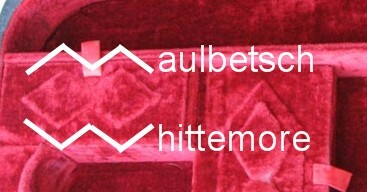 The Maulbetsch & Whittemore Co. has for years enjoyed a reputation throughout the trade as makers of cases of the highest possible quality. It was established in 1886 by John M. Maulbetsch and George G. Whittemore. It was incorporated in 1902 by Fred W. and George W. Maulbetsch, sons of the founder. George W. Maulbetsch has been president of the company, which is principally known through the celebrated trade-mark Bull’s Head brand of cases. The original factory was located at New Jersey Railroad avenue and Green street1, Newark, twenty-one years ago. In 1889 larger quarters were secured on Summit street2 and five years later the present modern factory at Spring and Cross streets3 was built. The business will be continued at this factory. Alfred Felsberg, who will be the head of the new corporation, is also a well-known case maker. He has been manufacturing instrument cases and has operated a large factory at 95 Bruce street4. Both plants will be used by the new company. The Bull’s Head trade-mark will be retained, the letters “F. F.” being substituted for the “M. & W.” at either side of the bull’s head. The Felsberg Co. comes to the Maulbetsch & Whittemore factory at a time when business is unusually good and when there is an abundance of unfilled orders on the books of both factories. In a statement to the trade announcing the sale of their business, the Maulbetsch & Whittemore Co. express the hope that the pleasant business relations they have always enjoyed with the trade in the past will be transferred to their successors. The announcement also contains the information that the new company will continue to make the same styles and quality of cases that have built up the enviable prestige of the Bull’s Head. The Maulbetsch brothers had nothing to say regarding their future plans further than that George M. Maulbetsch would take an extended trip through the West. A.L. Felsberg & Co., the Newark concern which has succeeded Maulbetsch & Whittemore as the manufacturer of the “Bull’s Head” brand of musical instrument cases, has plenty of Fall orders and the plant is running at capacity to fill them. Mr. Felsberg sees no immediate letup in sight in the small goods demand which is reflected in the need for cases. 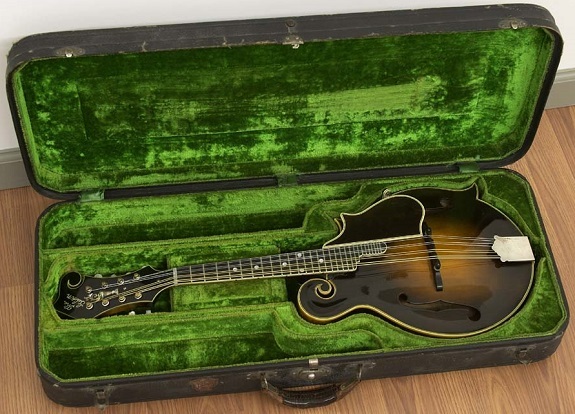 People are buying the best in everything and the demand for cases for instruments is for those of the better grade, which means prosperity for the “Bull’s Head’ line, according to Mr. Felsberg. The work of reorganization and readjustment of Alfred Felsberg & Co., Newark, N. J., which recently took over the old-established case manufacturing business of Maulbetsch & Whittemore, of that city, is rapidly being completed. Practically all the work of the manufacture of cases is now being carried on at the old Maulbetsch & Whittemore plant at Spring and Cross streets. The Felsberg factory on Bruce street will also be used. Fred Maulbetsch, whose years of untiring effort and unlimited skill have contributed greatly to the renown accorded the M. & W. "Bull's Head" cases, has been retained temporarily by the new company. The "Bull's Head" trademark has been retained, its value as a synonym for quality in musical instrument cases being recognized by Mr. Felsberg. 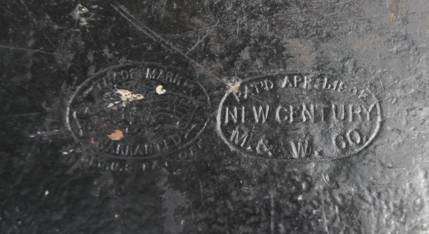 The letters "M. & W." in the trade-mark, however, have been supplanted by "A. F. & Co."
Alfred L. Felsberg & Co., manufacturers of musical instrument cases at Spring and Cross streets, Newark, N. J., are operating the plant at capacity production. This company manufactures the Bull's Head brand of musical instrument cases made famous by the Maulbetsch & Wittemore Co., which firm was succeeded by Alfred L. Felsberg & Co. about a year ago. The Bull's Head trade-mark has been retained, with a slight change which consists in a substitution of the letters "F. F." for "M. W." Alfred Felsberg, head of this concern, expects another year of good business. He says that the prosperity of the small goods market is only reflected in the demand for the better grade cases. He believes that the increased demand for musical instruments is a permanent one and represents a great addition of both professional and amateur musicians in the past few years. NEWARK, N. J., March 22.—A. L. Felsberg & Co., manufacturers of the Bull's Head cases for band and orchestra instruments, have just received an order of considerable size from a large musical merchandise house in London. This house writes the Felsberg Co. that it has been experiencing considerable difficulty in securing cases of quality either in England or on the continent and has decided that, in spite of the size of the cost of exchange between England and this country, it is advisable to purchase American-made cases. A representative of this house was in the United States not long ago, and after looking over the field thoroughly decided to place an order with the Felsberg Co.
H. C. Ball, who is in charge of the Felsberg plant in the absence of A. L. Felsberg, who has been ill, states that the demand for the Felsberg product has been excellent throughout the Winter months. The growth of the demand for music instruments generally found its expression in a corresponding demand for instrument cases. The Bull's Head line of cases is also selling well throughout Canada. NEWARK, N. J., April 11.—Alfred Felsberg, president of A. L. Felsberg & Co., successors to Maulbetsch & Whittetmore, manufacturers of cases for musical instruments, Spring and Cross streets, this city, has returned to his duties at the factory after a few weeks' absence, due to illness. Mr. Felsberg has put in such a busy Winter in an endeavor to keep his production abreast of the demand for the Bull's Head line of cases that he was forced to give up and give himself a thorough rest. He is now back in harness again and will apply himself to the task of supplying the jobbers who handle the Bull's Head cases with goods. Under the direction of Mr. Ball, who as in charge in Mr. Felsberg's absence, the Felsberg factory has been unusually busy the past few weeks, for orders for Felsberg products have been accumulating steadily for several months. 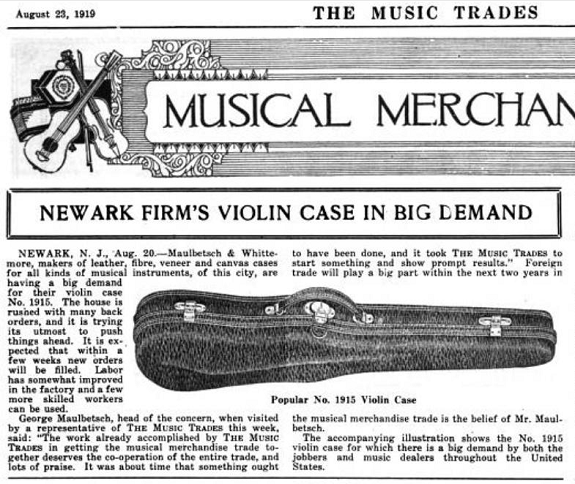 NEWARK, N. J., July 18.—Proof of the fact that business has picked up considerably during the past two or three weeks with the small goods trade generally is seen in the splendid recent showing of Alfred Felsberg & Co., manufacturers of cases for musical instruments. This company closed down for inventory, repairs and general gathering of loose ends recently, but the orders began to come in so fast that normal production has been again resumed. NEWARK, N. J., July 25.—Alfred Felsberg & Co., manufacturers of cases for musical instruments, report that buying of merchandise for the Fall trade has started. Dealers have been allowing their stocks of cases to run low in view of uncertain conditions, but now that prospects are better for a general increase in retail music business starting in the early Fall when schools open and normal conditions return in the music field, dealers are beginning to stock up. The Felsberg concern markets its product through jobbers and large orders have begun to come in from this source, indicating a general betterment of conditions. 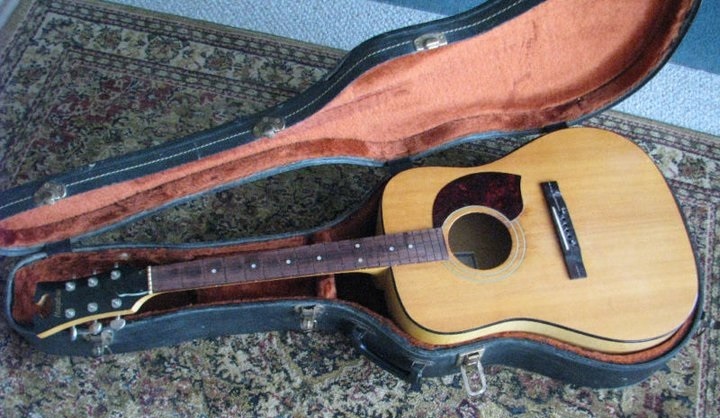 When instrument sales give promise of picking up it is reflected in the demand for cases. Manager Ball is confident of a busy Fall season. NEWARK, N. J., August 29.—Alfred Felsberg, head of the musical instrument case manufacturing firm of Alfred Felsberg & Co., Spring and Cross streets, returned last week from a business trip which took him through all the more important musical instrument centers of the Middle West. Mr. Felsberg found a decidedly optimistic feeling prevailing everywhere and considers the outlook excellent for Fall business. His house deals entirely with the jobbing concerns and his visits were with the more important jobbers, but he was able to observe retail tendencies. He reports that the retailer of musical instruments will shortly enter the market for larger quantities of merchandise, for all signs point toward a better demand which will extend at least right up through the Christmas season. This improved demand for cases is a reflection of a growing demand for instruments, for the case industry can nearly always be taken as the barometer for showing the general condition of the small goods trade. Mr. Felsberg left last week for Boston, where he will visit the trade. He will make several business calls in New England before returning to Newark. Note: Alfred L. Felsberg was in ill health the previous year. Now in August 1922 the company is reorganized. The name is changed from Alfred L. Felsberg & Co. to The Felsberg Co., and new officers are elected. President Edward E. Felsberg and vice-president Arthur P. Felsberg, are presumably the sons of Alfred L. Felsberg. 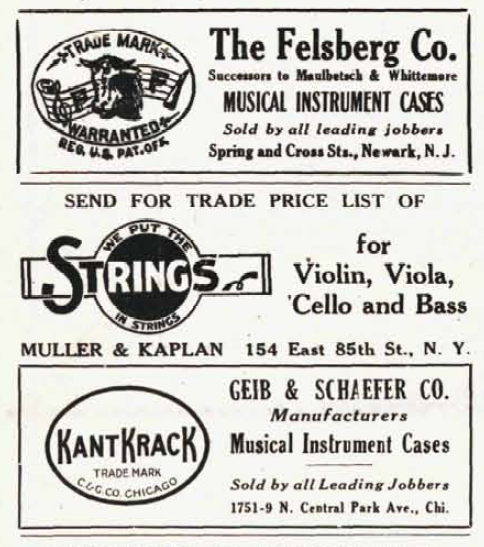 NEWARK, N. J., January 9.— Alfred L. Felsberg & Co., successors to Maulbetsch & Wittemore, manufacturers of fine musical instrument cases, Spring- and Cross streets, have just distributed among the jobbing trade their latest catalog of cases. The catalog is an attractive one of fifty-two pages. It is printed on high-grade paper and the printing and engraving are of a high order. It is divided into three parts, the first covering violin cases; second, band instrument cases, and the third, banjos and mandolin cases. Cases of every kind and shape for musical accessories are listed in the catalog, including violins, single and double; cornets, clarinets, saxophones, trombones, music stands, French horns, cymbals, drums, banjos, guitars, mandolins, shoulder straps, slings and waist belts, music cases, music rolls and satchels. Since the distribution of the new catalog Mr. Felsberg reports a large volume of business. The quality of high-grade cases has been very good and the Christmas trade was also exceptionally large. Mr. Felsberg predicts an excellent year for the musical merchandise business in 1922. 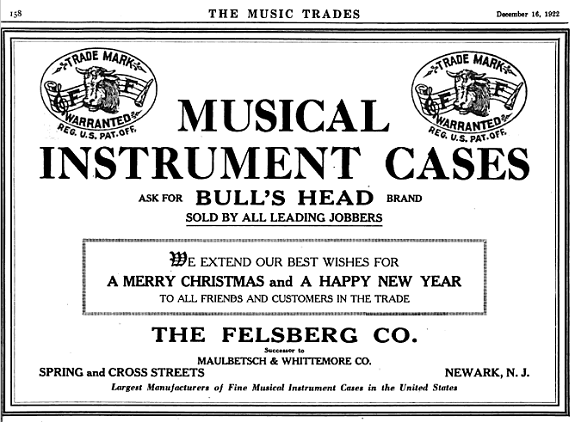 Alfred L. Felsberg & Co., Newark, N. J., manufacturer of the "Bull's Head" cases for musical instruments, has found the Winter months unusually productive of orders. This company sells its product exclusively through the leading jobbers, but takes a great interest in the dealer who handles "Bull's Head" cases. Mr. Felsberg believes that every person who buys a high-grade banjo, violin, saxophone or other musical instrument can also be sold a good quality case just as easily as a cheap one, for the reason that it adds just so much more to the life of the instrument in question. Firm is Successor to Maulbetsch & Whittemore Co. – Located in Newark, N. J.
Newark, N.J., Aug. 22 – The firm of Alfred L. Felsberg & Co., successor to Maulbetsch & Whittemore Co., this city, manufacturer of all kinds of musical instrument cases, was reorganized last week with a change in the company’s name and the election of new officers. Edward E. Felsberg was elected president and Arthur P. Felsberg, vice-president and treasurer. Hearafter the firm will be known as the Felsberg Co. All advertising, booklets, literature, etc., and letterheads have been changed to carry the new name of the company. The same policy as heretofore obtained will be carried out in the future with no change in the quality of the cases, which have been made for more than half a century. Announcements of those changes have been sent to members of the musical merchandise industry throughout the country. NEWARK, N. J., August 28.—A change in name has been announced to the trade by Alfred L. Felsberg & Co., manufacturers of cases and musical instruments. They will now be known as the Felsberg Co. This firm is the successor to Maulbetsch & Whittemore, famous in the trade for many years as the manufacturers of the famous "Bull's Head" line of musical instrument cases. The change in name was decided upon at the annual meeting of the company last week, at which time the following officers were reelected: Edward E. Felsberg, president, and Alfred L. Felsberg, vice-president and treasurer. NEWARK, N. J., September 5.—The new vice president and treasurer of the Felsberg Co. is Arthur P. Felsberg and not Alfred Felsberg, as was incorrectly reported in a recent issue of The Review. Mr. Felsberg was elected to these offices at the annual meeting of the company last month when the firm name was changed to the Felsberg Co. This firm manufactures the celebrated "Bull's Head" line of cases for musical instruments. Early orders for Fall business indicate that demand for the line will be more active than ever during the coming season. Felsberg products are handled by practically all the leading musical merchandise jobbers. 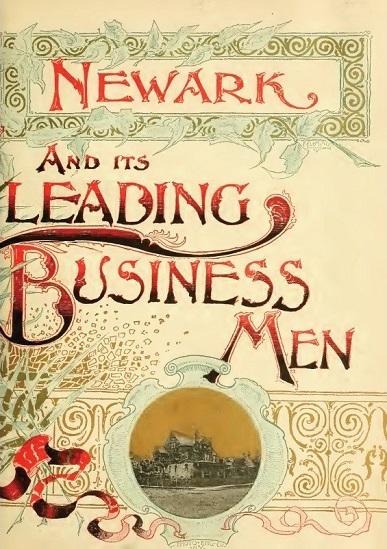 NEWARK, N. J., February 5.—Edward E. Felsberg, for several years an officer in the Fidelity Union Trust Co., the largest and one of the strongest trust companies in the State of New Jersey, has resigned in order to devote all his time to the affairs of the .Felsberg Co., the musical instrument case manufacturing company of which he is president. 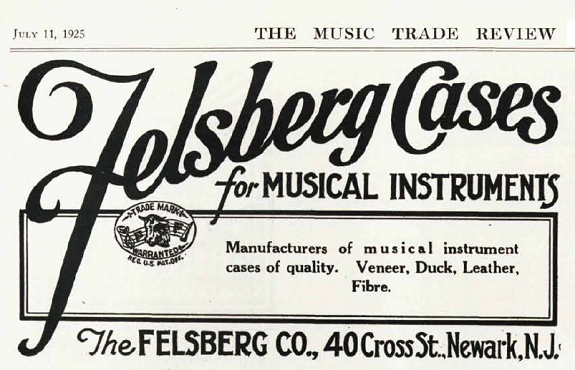 The Felsberg Co. operates a large plant devoted exclusively to the manufacture of high-grade cases for musical instruments at Spring and Cross streets and is one of the best-known companies in the field. This company took over the business of the famous Maulbetsch & Whittemore firm about two years ago and if possible has added to the splendid reputation enjoyed in the trade by the old company. The Felsberg Co. has kept the old trade name "Bull's Head," which over a long period of years has come to mean a great deal to buyers of cases. "Our company enters another year with the brightest prospects in its whole history. Our January business showed an actual increase." 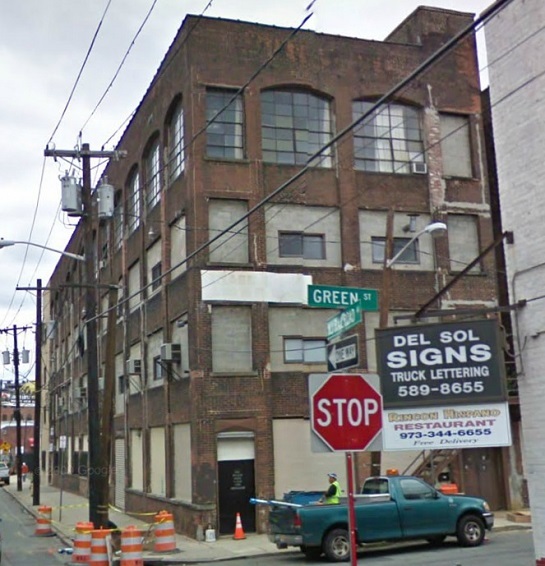 NEWARK, N. J., May 14.—The steadily increasing demand for the "Bull's Head" line of cases for musical instruments has made it necessary for the Felsberg Co. to begin an addition to its plant at Spring and Cross streets. The addition will give much-needed manufacturing space. "For some time we have been getting behind in filling the steadily growing orders for our products," stated Edward E. Felsberg to The Review representative today. "The unusually excellent demand for musical instruments is reflected on our order sheets. In fact, the case-making business is always a barometer of the industry. "I believe the country is in for a great musical era. We see on all sides a vast increase in the public demand for music. There are many causes for this and, for my part, I am inclined to place no little credit for this growing interest in music to the radio. The broadcasting of good music has been instrumental in stimulating a demand for all forms of music, according to my opinion. The Felsberg Co., Newark, N. J., manufacturer of cases for all musical instruments, reports that orders for the first months of the year are much heavier than usual at this time. This company's product is sold through jobbers and practically all the leading ones have placed heavy orders for the well-known "Bull's Head" trade-mark line of cases. 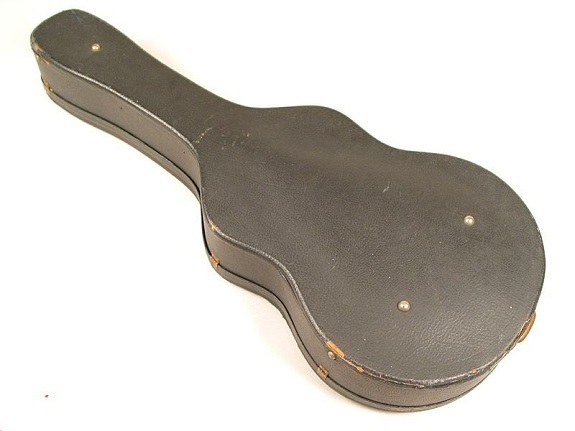 The demand for tenor banjo cases of the better grade is especially large, due to the development of a marked demand for the high-grade type of banjo. Saxophone cases are also selling extremely well with this house. NEWARK, N. J., March 17.—Under the management of Edward Felsberg, who is now in complete charge, the Felsberg Co., manufacturer of high-grade cases for musical instruments, has made rapid progress during the past several months. 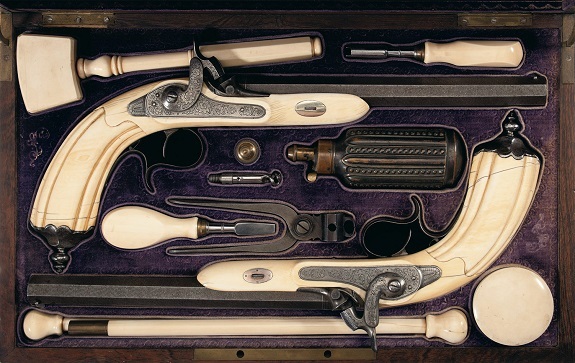 Mr. Felsberg has succeeded in speeding up production in the factory without any varying from the high standard of product that has been responsible for the prestige enjoyed by "Bull's Head" cases since the days of Maulbetsch & Whittemore, who were succeeded several years ago by the present company. Nearly all leading jobbers now handle the Felsberg cases. Mr. Felsberg is also president of the Fibre Products Co., manufacturer of loud speakers and radio horns, Bloomfield, N. J. This new company has grown to be one of the largest in the business. It employs 190 men, and, according to Mr. Felsberg, nine out of ten of the better grade radio loud-speaking horns in use to-day are made in this plant. NEWARK, N. J., April 14.—Edward L. Felsberg, president of the Felsberg Co., manufacturer of musical instrument cases, has arranged for a group life insurance policy for his employees under which each worker's life is protected for $1,000. This group policy, providing for insurance totaling $60,000, is one of several held by manufacturers of musical instruments. The payment of death claims is but one of the manifold benefits offered to the insured by the Metropolitan Life Insurance Co., with which the policy was placed. The company maintains a welfare division whose nursing service will be available to all the insured Felsberg workers in the event of illness. In addition to this instructive literature is distributed at frequent intervals, so that the advice of experts on health conservation and disease prevention always is available to those who come under the provisions of the policy. A Policyholders' Service Bureau, also maintained by the Metropolitan, is a group of well trained technicians who will, upon request, offer any suggestions the Felsberg Co. may desire in the administration of its business or other such problems. NEWARK, N. J., August 16.—The Felsberg Co., maker of cases for musical instruments, has an excellent business month in June, according to Edward E. Felsberg, head of the company. The sales figures exceeded last year's sales, and the 1923 record was considered good. Mr. Felsberg reports that dealers are finding the Bull's Head cases as popular as ever. There has been a revival in activity in the small goods industry growing steadily since early Fall, according to E. E. Felsberg, head of The Felsberg Co., Newark, N. J. Mr. Felsberg's company is a large producer of cases for all kinds of musical instruments and he is usually in a position to forecast the trend of the trade accurately. "We noticed business beginning to increase in a healthy fashion immediately after election," declared Mr. Felsberg to a representative of The Review. "Although orders had been growing larger all the time since the first of the Fall season, it seemed as though the big buyers were holding off until after election. The encouragement lying in the election returns has apparently been enough to give business just the impetus it has needed and it seems reasonable to believe that we are in for a period of good business. "Demand for cases is general throughout all the lines of instruments. Tenor banjo cases are being ordered in a way that indicates that this instrument in particular is in for another unusually good season. Violin cases also are enjoying an excellent demand. It is encouraging to note that the heavy demand seems to run toward the better grade merchandise both in instruments and .cases." Increases in the wholesale prices of cases for stringed musical instruments and band instruments have been announced by several of the manufacturers in the East during the past month. Because of steadily rising manufacturing costs during the past several months an increase in case prices has been predicted for some time and a further increase in raw materials made the step finally necessary last week. Among the manufacturers who have announced a new scale of prices on most numbers of cases are the Felsberg Co., Newark, N. J., and Lifton Mfg. Co., New York. Two new band instrument cases have been added to the Bull's Head line of cases for musical instruments manufactured by the Felsberg Co., Newark, N. J., it was announced last week by Edward Felsberg, head of this old-established firm. 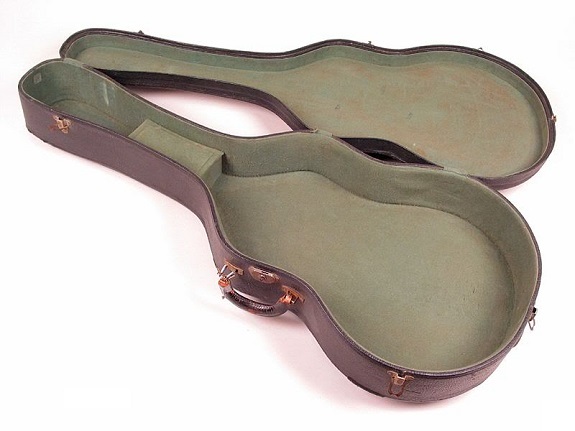 These cases include one for the trombone and one for the trumpet and are both well built high grade cases, covered with imitation leather, plush lined and with nickel-plated trimmings. 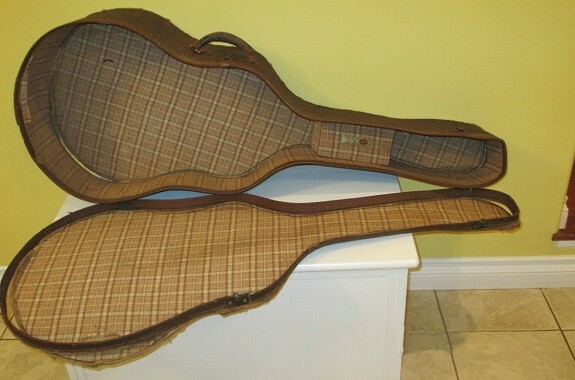 The trombone case is built of veneer and the trumpet case of fiber. Mr. Felsberg reports a good demand for these new cases as well as the entire line. Among the jobbers who have already stocked the new cases are such houses as Carl Fischer, Inc., and Chas. H. Ditson Co., New York; Oliver Ditson Co., Boston; Haffner & Sutphin and H. A. Weymann & Sons, Inc., Philadelphia, and the Fillmore Music House, Cincinnati. 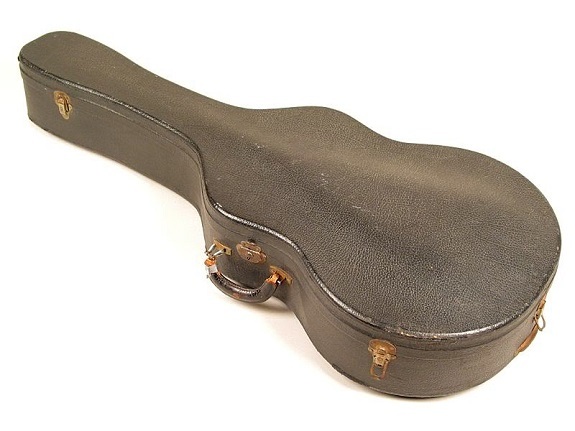 The Felsberg Co. makes a line of products that includes cases for violin, clarinet, guitar, banjo, saxophone, ukulele, banjo-ukulele, etc., and the cases are made in leather, imitation leather, veneer, fiber and duck. Harry Ball, sales manager, will represent the firm at the Chicago Convention of the Music- Industries Association. 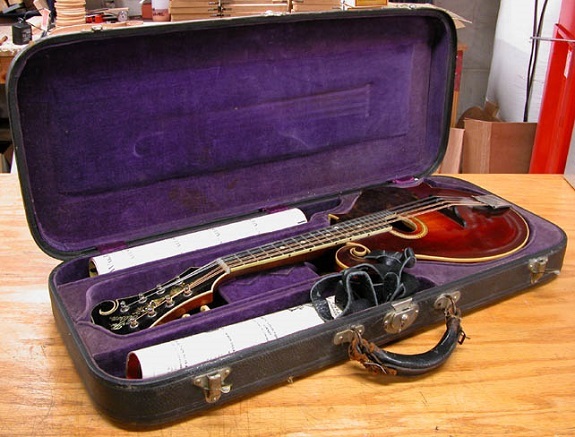 Trade in musical instrument cases tends to run strongly to the cases for fretted instruments, is the report of Edward Felsberg, head of the Felsberg Co., manufacturer of the well known Bull's Head line of cases, Newark, N. J. This firm has long supplied manufacturers, jobbers and retailers with its cases and keeps in close touch with the situation at all times and consequently its reports are considered authentic. Mr. Felsberg finds that tenor banjos" continue to enjoy a brisk demand judging from the number of orders for this type of case. The entire family of banjo instruments is being well bought and the demand is general throughout the fretted instruments. Ukulele and banjo-ukulele cases of the better grade are in better demand this Summer than ever before, many ukulele purchasers insisting upon a good keratol case rather than a bag. This firm also makes a very popular line of cases for band instruments including cases for every instrument in the band. They are made in every finish that is popular and are sold by dealers in all sections of the country. The Felsberg plant has been operating at capacity. NEWARK, N. J., October 26.—"Bull's Head" brand instrument cases manufactured by the Felsberg Co. of this city have been adopted by the H. N. White Co., maker of King band instruments, Cleveland, O., it was announced to-day by Edward Felsberg, head of the Felsberg Co. Mr. Felsberg is extremely pleased with the deal for the reason that Felsberg cases were adopted after a careful examination by officials of the White firm of a number of other cases. The entire Felsberg line of cases is showing great activity and Mr. Felsberg is looking to an excellent Fall and Winter trade. Production is being pushed to a high degree to meet a number of large orders that have come in from manufacturers, jobbers and dealers. NEWARK, N. J., October 20.—"Bull's Head" cases for musical instruments are enjoying one of their best seasons in many years, according to reports received from music dealers in various parts of the country by Edward Felsberg, head of the Felsberg Co., Spring and Cross streets, manufacturer of this celebrated line of cases. 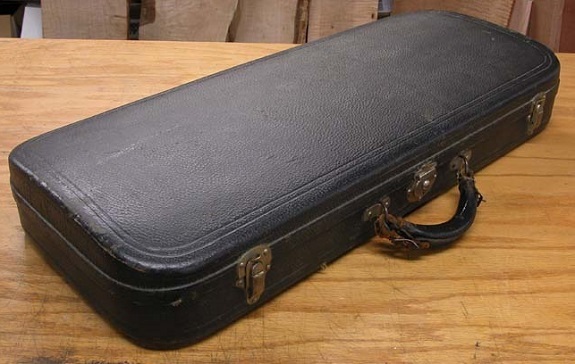 These cases, which are steadily becoming more popular with musicians, have long been a favorite with the trade. They were a Maulbetsch & Whittemore product for many years and, when that firm retired in favor of the present company a few years ago, the Felsberg Co. immediately laid plans to make these cases even more widely known. This campaign is now bearing fruit, and the "Bull's Head" cases have a reputation for quality greater than at any time in their history. NEWARK, N. J., January 4.—That musical instrument sales are increased by the use of good cases is the contention of Edward Felsberg, president of the Felsberg Co., manufacturer of "Bull's Head" cases for musical instruments, Spring and Cross streets. This company has made a great success of the case-making business by specializing in the art of making cases that are in keeping with the high-grade instruments now being sold. Realizing the importance of this factor Mr. Felsberg has insisted upon keeping his cases up to a high level of quality, with the result that his business has expanded to the point where the firm now occupies over 25,000 square feet of floor space in a thoroughly modern and constantly busy factory. "Strict adherence to quality ideals has made possible the growth of the Felsberg Co.," declared Mr. Felsberg to a representative of The Review recently. "This means eternal vigilance in the selection of the raw materials that go into the finished product and careful supervision of the methods pursued in the construction of the cases. This is a costly procedure, but we have found that the trade appreciates it in the long run. "This company has the tradition of over thirty years to maintain in keeping its products up to the point that the dealers expect. The trade knows that when it sees a 'Bull's Head' stamped into a case it is receiving the best possible case and we realize that in this we have a big responsibility." In the Felsberg factory there are now nearly a hundred skilled operatives working under the supervision of Mr. Felsberg, who, although he started in the business after a successful career in the financial field, has by constant application and much hard work secured an intimate knowledge of every detail of his business. The factory now has complete modern machinery and equipment in every respect. "Bull's Head" cases are sold by dealers in every part of the United States and a considerable export business is also maintained. The cases are handled by all the leading jobbers. 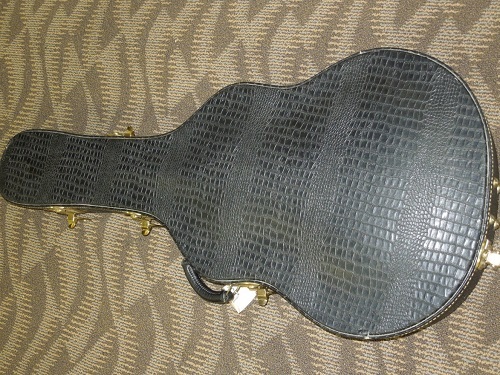 The products include cases for violin, viola, banjo, banjo-ukulele, guitar, mandolin, saxophone, clarinet, cornet, trumpet, trombone and drum, as well as such items as cornet satchels, drum-stick cases, drum and music stand cases, cymbal sacks, music bags, cases and rolls, bass and snare drum slings, shoulder straps, leather and web drum slings, waist belts, handles and case hardware. 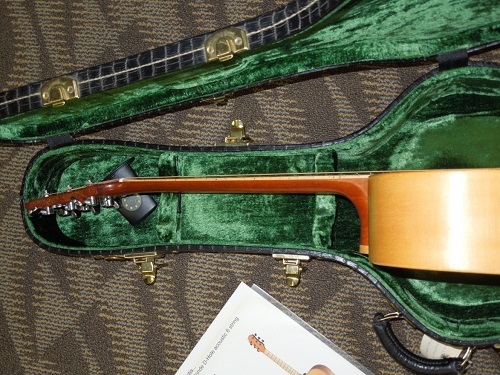 NEWARK, N. J., October 25.—The trade has accepted with enthusiasm the new Felsberg Bull's Head tenor-banjo case, according to Edward E. Felsberg, head of the Felsberg Co., Spring and Cross streets, who reports that jobbers and dealers throughout the country are rushing orders for this new number. The new Bull's Head case has a number of new features that commend it to banjoists and as a result dealers are reporting good business on it despite the fact that it is still a new item. A heavier advertising campaign is in prospect for the Fall months, according to Mr. Felsberg. NEWARK, N. J., December 27.—An idea of the present popularity of French horn cases may be gleaned from the fact that there is a constantly increasing demand for them, as reported by Edward E. Felsberg, president of the Felsberg Co., manufacturer of Bull's Head cases for band and orchestra instruments. Mr. Felsberg reports that his company shipped more French horn cases during the month of December alone than during any two previous years. He further reports that a demand for cases throughout the general line is excellent and the amount of unfilled orders is running so high that the factory should be running at capacity for some time to come. 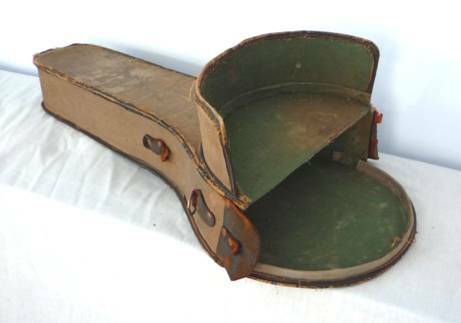 Another item that is selling well is the Bull's Head case for guitars. NEWARK, N. J., July 18.—In order to take care of the increasing demand for violin cases, Felsberg Co., manufacturer of Bull's Head cases for musical instruments, has rearranged the entire third floor of its three-story plant. This includes the veneer department, where the forms and shells for the cases are made. Officials of this company report that business at the present time is considerably better than it generally is at this season. Note: Companies of the era would close for two weeks during the summer and the entire workforce would go on vacation. This would be an ideal time to make any necessary reorganizations of the factory. CONSIDERABLE interest has been aroused in the coming annual mid-winter meeting of the National Association of Musical Instrument & Accessories Manufacturers to be held Friday and Saturday, March 9 and 10 at White Sulphur Springs, W. Va., at the Greenbriar Hotel. 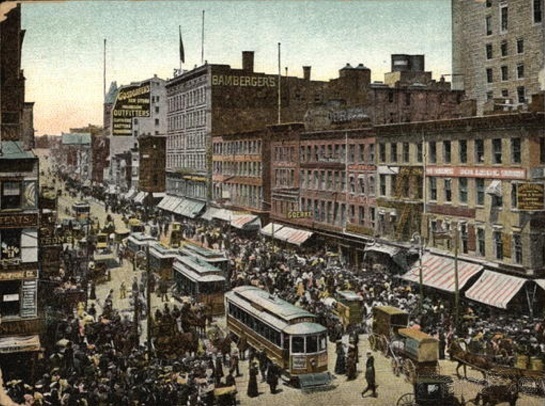 This site was selected as a common half-way meeting ground between the New-York and Chicago sections of the trade, thus assuring a large attendance. There are a number of important trade matters to come before the deliberations of the association, including a discussion of ways and means for the national promotion of demand for musical instruments, a subject that has occupied the attention of the body since its formation a few years ago. President Walter M. Gotsch announces that a good representation of the Chicago trade will be there, and interest shown among the easterners indicates a goodly attendance all around. The other officers of the association include: H. C. Lomb, vice-president, Alfred L. Smith, secretary and treasurer; board of directors, G. F. Chapin, E. E. Felsberg, Walter M. Gotsch, H. H. Slingerland, William L. Ludwig, Maurice Lifton, H. C. Lomb, Carl W. Nelson, 1. R. Stewart and H. W. Weymann. 1929 - First Mention of Harptone Mfg. Co.
Ralph E. Kenny, formerly buyer for the Platt Musk Co., Los Angeles, and prior to that connected with the Rudolph Wurlitzer Co., has been appointed Pacific Coast representative for the Harptone Mfg. Co. of Newark, N. J. He will make his headquarters at 927 W. 7th street, Los Angeles. Harvard Leather Goods Mfg. Co.
Patent 1,481,182, granted January 15, 1922, filed September 18, 1922, to Morris Brooks, assignor to the Lifton Mfg. Co. for a Brief Case, a strip element for reinforcing the brief bag where the handle is attached. Morris Brooks, of New York, N.Y., assignor to the Lifton Mfg. Co, of New York, N.Y., composed of Maurice Lifton and Aaron Lifton. An invention for brief bags, to provide a strip element to build up and reinforce where the handle is attached. C. F. Martin Company Harptone Manufacturing Corp. Guitar size No. 2 $12.50 dz. $31.00 dz. $5.60 ea. $8.40 ea. Guitar size No. O $12.75 “ $33.00 “ $5.90 “ $8.90 “. Carved top No. OOO $38.00 “ $6.40 ea. $10.65 ea. Mandolin flat model $8.60 “ $21.00 “ $36.00 dz. $60.00 dz. Harptone Mfg. Corp., 127 S. 15th St., Newark, N. J. 127 South 15th St., Newark, N. J. Patent 2,197,275, granted April 16, 1940, filed Dec. 24, 1937, to Maxwell Meyers, an accordion carrying case. Patent 2,156,910, granted May 2, 1939, filed April 16, 1936, to Morris Brooks for musical instrument carrying case: a spring latch for accessory compartments. 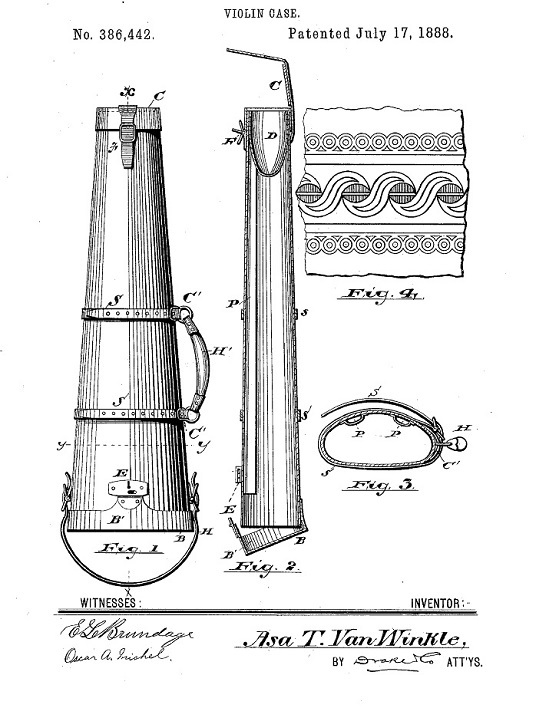 Patent 85,280, granted October 6, 1931 to Morris Brooks, John Carner for design of an accordion case. Note: Statements have been posted on the internet claiming that Harptone manufactured and distributed musical instruments before World War II, but no evidence has been found to support this. 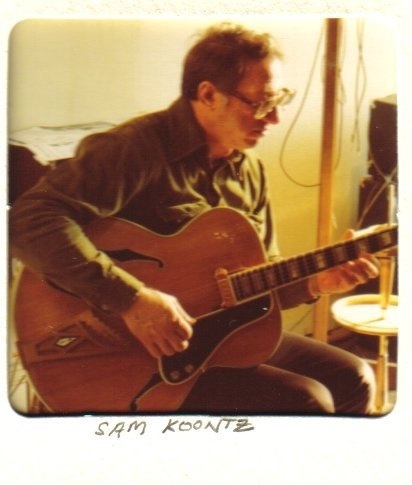 In 1966 the Harptone company offered to build guitars for Standel, and hired luthier Stan Koontz to design a line of acoustic and electric guitars and basses. These were made at Harptone’s facilities in New Jersey. 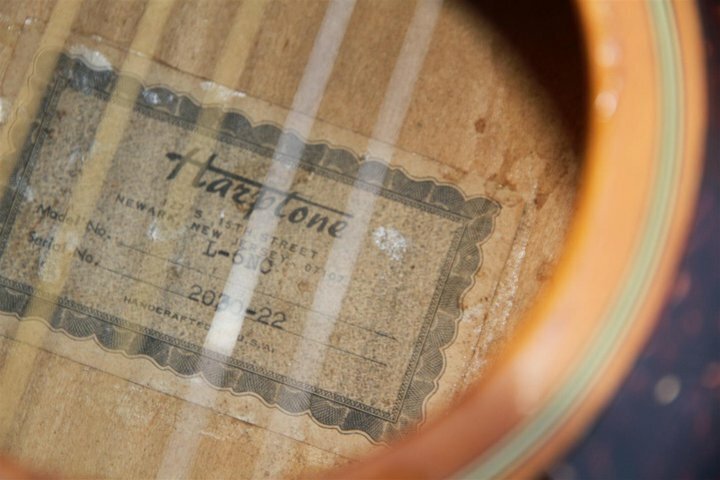 The Harptone brand name was used on instruments only in 1966 and 1967. In 1968 the Standel brand name began to be used. 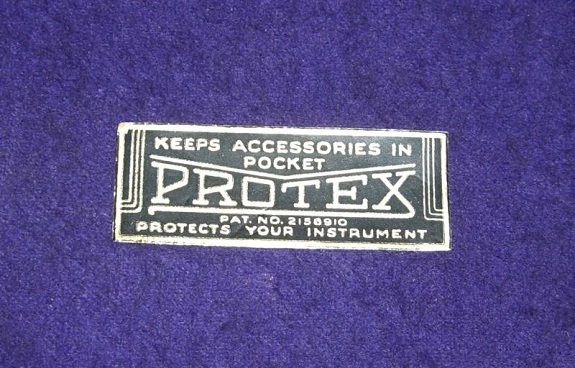 There were approximately 300 instruments produced in 1967-68 for the Standel Amp Co. This included acoustic flat-top guitars, arch-top guitars, semi-hollowbody electric guitars and basses. These instruments were beautifully made and are quite rare. Prices ranged from $385 to $1,200 (in 1967 dollars). Production continued until 1975 and an estimated total of 2,500 instruments were produced. In 1975 Harptone's guitar division was sold and became Diamond D guitars. Models: S-6NC, RS-6BC, Eagles; E-6N, E-6NC, E-6S, Zodiacs; Z-6N, Larks: L-6N, L-12NC and the George Harrison/Ringo Star Model RS-6NC, the B-4 acoustic bass. One full page showing "features of Harptone Guitars" including bracing, frets, headstock design, double truss rod and arched back. Includes original price list. August 5, 1977 Harptone Trademark Filed, claiming first use October 30, 1975. 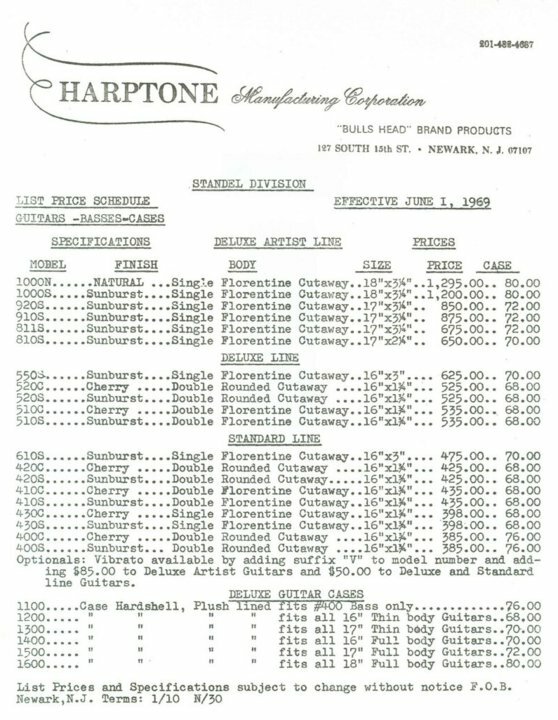 September 16, 1980, Harptone Trademark Registered by Trochal, Inc.
Tom Dougherty established TLK, a leading supplier of quality cases and bags for musical instruments and equipment. In an effort to preserve tradition, TKL bought the Harptone name. They produced Harptone cases for a time during the late 1980's and 1990's. 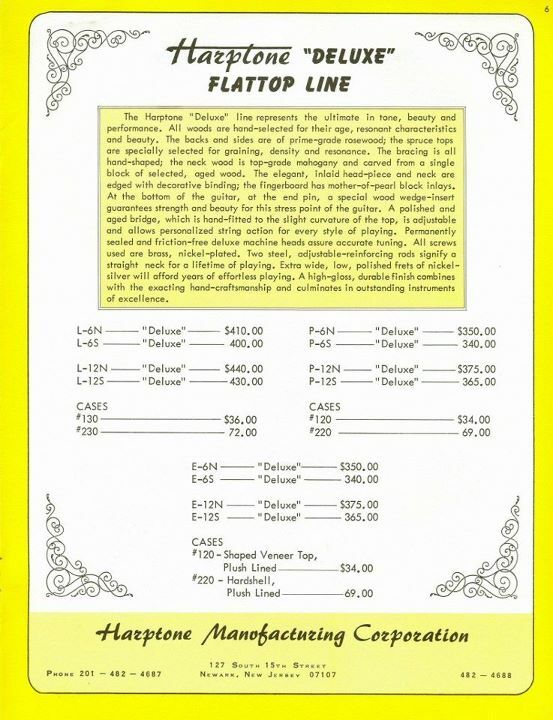 This was the first time cases had been produced bearing the Harptone trademark, as cases built by The Harptone Mfg. Corp. had always used the Bulls Head trademark. Tom owns a considerable number of Harptone cases and hopes someday to establish a museum to showcase the weathered artifacts. The last known sighting of Harptone cases was around 2010 when some Harptone Chipboard cases were sold by online retailers. They were apparently produced or authorized by TLK Products Corporation.